Heat the oven (with the oven rack in the middle) to 400°F. Line a rimmed sheet pan with parchment paper. 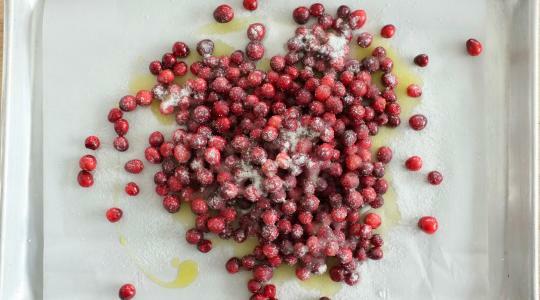 Put the cranberries in the prepared pan and drizzle with the oil. Sprinkle with the sugar, thyme, and salt. Using your hands, toss to coat. 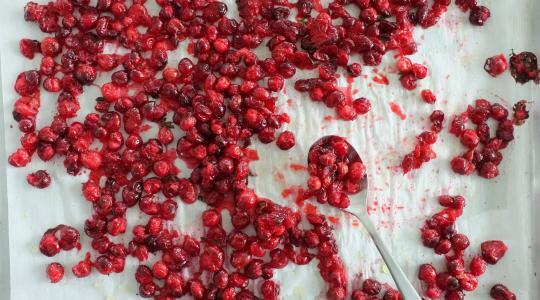 Roast until the cranberries start to shrivel, 25 to 30 minutes. 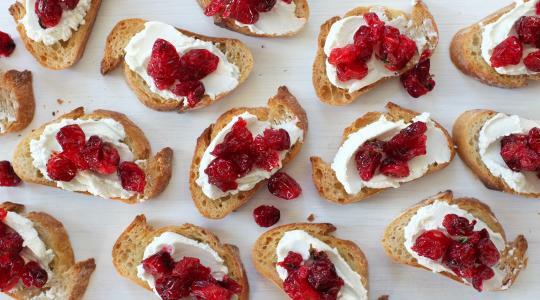 Spread a little goat cheese on each crostini then top with the cranberries.